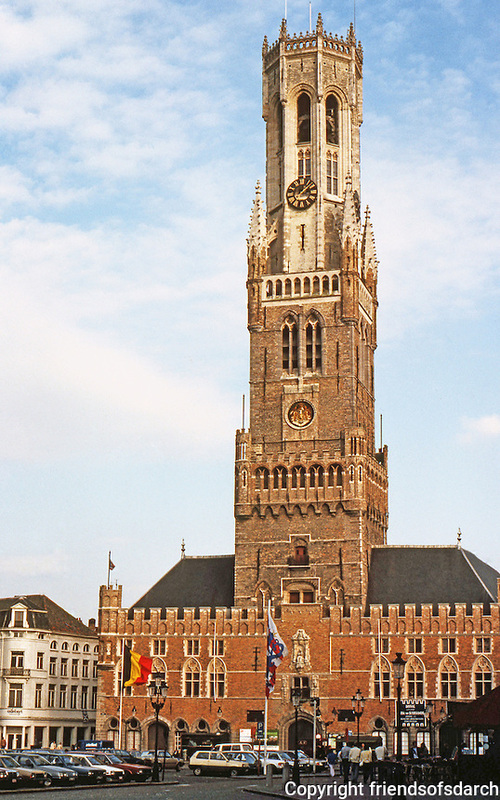 Bruges: The Halles and Belfry Tower, 83 M. high. Built in two stages--13th & 15th century. Photo '87.